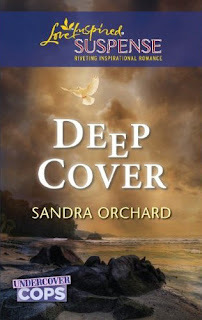 Maintaining his cover cost undercover cop Rick Gray the woman he loved. Sweet Ginny Bryson never really knew Rick—he never gave her the chance. Not then, and not now, when he's back with a new alias to gather evidence against Ginny's uncle. The man's crimes led to Rick's partner's death, and Rick wants justice to be served. But his investigation is stirring up trouble, and Ginny is smack-dab in the middle. Someone wants Ginny to pay the price for what her uncle has done. But how can Rick protect her without blowing his cover, jeopardizing his assignment…and risking both their lives? Thank you, Camy. Hi everyone. I’m delighted to be here. Well, video trailers for novels are all the rage these days, but I’m afraid I don’t have one of those. Instead, I thought I’d share “the extras” that might most help you fine tune your own novels—deleted scenes and director’s cut with commentary. Director’s Cut with commentary: Typically for a novelist, this would read editor’s cut, but since my editor made only minor changes to my manuscript, I’ll share an example of how my critiquer Wenda Dottridge helped me strengthen my first villain scene. The original version was suspenseful. It showed Laud impatient with incompetent staff, nervous about the suspicious character watching his place, and angry that the insurance company hadn’t paid out yet on his arson claim. It showed him receiving info from the PI he hired to investigate the hero, and ended with innuendoes of sinister plans for him. The problem was that Laud’s depiction verged on a mustache-twirling caricature. Wenda reminded me that I needed to give him a redeeming quality. We brainstormed ideas and found that by sprinkling in hints that Laud wasn’t as bad as I was making him out to be, I could up the stakes and urgency even more without going over the top. As the please wait circle swirled on his computer screen, Laud fed Duke’s resignation letter to the shredder. The man might be just the distraction he needed to preoccupy his niece, and her meddling mother, until his plans fell into place. He should’ve silenced his sister-in-law when he had the chance. His banking info blipped onto the computer screen. A lousy three grand in the account—not enough to cover a week’s interest on the three million he owed Petroski, let alone a month’s. The heat in his chest intensified. He rubbed his knuckles over his ribs and popped another antacid. Lori smiled at him from the hand-drawn picture on the corner of his desk. The sloppy scrawl looked like a three-year-old colored it, all big heads and stick arms outlined in worn-down Crayolas. The latest blackmail note lay, unopened on his desk. Popping a second antacid into his mouth, he tore open the envelope. Bold-faced letters, cut and pasted from a newspaper, said: You’ll pay. One way or another, you’ll pay. The scene goes on to show Laud struggling to overcome a panic attack and telling himself that he can’t afford to give into weakness. So instead of the scene just being about his concern over the apparent loan shark goon outside and his financial woes and his investigation of the hero, I added an additional threat against him. This raises all kinds of questions for the reader as to who is really the bad guy. The rewrite also reveals one of Laud’s redeeming qualities—his soft spot for Lori, his eighteen-year-old, mentally-challenged niece. Have any of the “extras” given you insight into how you might strengthen some of your own scenes? We’d love to hear about it in the comments. Or if you have any questions for me, I’d be happy to answer them. He squinted past the flashes of color dancing in front of his eyes and focused on the floor joists that dangled over his head. He might be an undercover cop just posing as the foreman on this group-home project, but he didn't have to be the real thing to spot the clean saw lines bisecting three of the struts. Fury blazed through his veins. If the basement slab had been poured yesterday as planned, he'd be a dead man. Holding his breath against the throbbing pain, Rick crawled up the ladder to the main floor. Last night's rain had turned the Southern Ontario sandy loam into a soupy mess, and the late winter chill layering the air around Miller's Bay bit through his damp jeans. Bit like the suspicion nipping at his thoughts that this wasn't the handiwork of another disgruntled neighbor. The warning to stop construction on the controversial home for the mentally challenged might be from an angry Not-In-My-Backyarder, but if his "boss" had figured out why Rick really took this job, staging an accident that looked like the work of local protesters was an inspired way to take him out. Emile Laud's well-manicured hand reached for Rick's free arm and hoisted him up the last three rungs. In a three-piece suit and Burberry overcoat, his boss clearly hadn't planned on picking his way across a construction site. "What happened?" "Sabotage," Rick grunted, his suspicion of Laud masked by his struggle to pull in a full breath. The panic that flashed in Laud's eyes wasn't the response of a man who'd just tried to kill off his foreman. His gaze traveled across the splintered wood, up Rick's mud-caked pants and paused on the cracked hard hat clutched in Rick's fist. "Are you okay?" "I'll live." Rick watched Laud's reaction, but nothing in his expression suggested he hoped otherwise. So who was their saboteur? And what did he really want? Laud pried a handkerchief out of his coat pocket and wiped the mud from his hands. "Those crazy radicals have gone too far this time. I've got my new PR girl stopping by this morning. We'll have her take pictures and write a news article to rally public opinion to our side." Rick kneaded the muscles in the back of his neck. Here to nail Laud for the arson murder of two—maybe more—people, Rick couldn't afford to have an innocent get in his way. And that's exactly what would happen if this new PR person acted on Laud's suggestion. She'd become the face and voice of this project, and far too enticing a target for their saboteur. "Here she comes now," Laud said, motioning toward the car. Rick's heart slammed into his aching ribs. He'd know that car—and its driver—anywhere. Ginny Bryson. The one person who could blow his cover wide open. She may not know what he really was, but she knew he was no construction foreman. Rick braced his hand on the nearest stud and razored a breath into his lungs. His ex-girlfriend couldn't have picked a worse time to careen back into his life. How was he supposed to keep her safe this time? She parked next to Laud's BMW, and the instant her sleek legs dropped into view below the driver's door, Rick's mouth went dry. The sight of her roused memories he'd been trying to forget for fifteen long months. The wind tousled her hair and reflexively his fingers curled. He could almost feel the silky caress of her blond tresses. In those moments when he let her take over his thoughts, he could still breathe in her lavender scent and hear the sweet ring of her laughter. Instinctively, Rick limped into the shadows; the second Ginny looked past his new mustache and bristly hair and recognized him, she'd rat him out to her Uncle Emile. The uncle she'd claimed tonever see. A lone backhoe loomed on the horizon, silhouetted against the steel-gray sky, its tires caked in mud. Too bad the machine wasn't big enough to dig him out of this mess. He'd relived her betrayed expression too many times during the lonely months since the last time. Rick slapped on his hard hat and steeled himself against his regrets. He'd been undercover on another case when they met and he'd made the choice not to tell her he was a cop. There was no going back now. Laud's hand slid like a snake across Ginny's shoulders, and Rick wanted to hurtle across the boards, rip her away from his grasp, sink his fist into Laud's pretty face and scream the truth—the man killed people. People like Tom, and that old woman, trapped in her wheelchair as smoke ate the breath from her lungs. Instead, Rick shoved his fists into his coat pockets and hobbled toward them, trying to conceal the pain still crushing his ribs. If only his partner hadn't run back into the burning building, he'd still be alive. Rick shook the image from his mind. Given the trail of dummy companies and insurance claims he'd unearthed following Tom's death, Rick had no doubt that Laud torched his real estate for the insurance money, but Ginny would never believe his story. Her uncle had done too good a job covering his tracks by playing the town philanthropist. And in Ginny's eyes, Rick was nothing more than something she'd scrape off her shoes. He'd let her keep that misconception, too, because once again, he had a job to finish. A job she could jeopardize if she knew what he really was—an undercover cop who wanted to dump her uncle in the dankest, darkest, dirtiest prison cell the province had to offer. Ginny turned and, for an instant, Rick forgot his mission as he drank in the flush of her cheek. The sparkle in her eyes. The ever-present smile. He took a second to enjoy the fact she still looked wonderful, uncontaminated by the scum he crossed paths with on a regular basis. The scum he'd wanted to protect her from. Yes, he'd made the right choice when he let her walk away believing he was a lying lowlife. He'd been fooling himself to think he could shield her from the danger of his profession. While out at dinner with Ginny, he hadn't been wearing the acid-washed jeans and tattooed jacket that flagged him as a fellow gang member, but that hadn't stopped Snake from recognizing him. And if the thought of what Snake might do to her if he'd figured out Rick was a cop hadn't convinced him to let Ginny walk away, her horrified who-are-you expression would have. He'd forgotten how strikingly green her eyes were, like a forest he could get lost in for hours. Only now they seemed to be measuring him and finding him wanting. Her smile wilted, and just once he wished he could see trust in those eyes again. Laud's next words obliterated that hope. "Duke, this is my niece, Ginny Bryson. Ginny, meet my foreman, Duke Black." Ginny's gaze snapped to her uncle, then locked on Rick. "Duke?" she said, and then clearly struggling over how to respond, repeated stupidly, "Duke?" Rick thrust out his hand and put as much enthusiasm into his voice as he could muster with the black clouds looming overhead. "Good morning, Miss Bryson. I look forward to working with you." He held his breath, praying she would play the game. He'd forgotten how delicate her fingers felt, how soft against his work-worn palm. "I used to know a guy…." she said slowly, as though savoring each word. "He looked a lot like…you." "Really?" He struggled to sound unfazed even as the specter of a saboteur targeting Ginny strangled his breath. "I get that a lot." Ginny pulled her hand back and folded her arms over her chest. "Yeah, his name was Rick." Shivers of frustration and anger played havoc with Ginny's insides as Rick, or Duke, or whatever he called himself these days, darted a glance at Uncle Emile. This project was too important to her to put at risk. Why should she care if Rick got into trouble? She should've blurted the truth about his alias on the spot, not let his pleading eyes win her sympathy. How dare he put her in this position? It was Uncle Emile—deceived by Rick's lies— that she should be worried for. When she dropped Duke's real name, her uncle had been too distracted by the sudden arrival of his secretary to hear. But the beads of moisture on Rick's forehead didn't look like raindrops. Good. Maybe he'd do the smart thing and quit before she really blew the whistle on him. Uncle Emile's secretary handed him a file folder through her car window, said a few words and then drove off. Tucking the folder under his arm, Uncle Emile returned to Ginny's side. "I have to go. Duke, I'll leave you to discuss that other matter with my niece." A light that said "with pleasure" glimmered in Rick's eyes. Ginny grabbed her uncle's arm. "There is no way I'm working with him." Her uncle gave Rick-slash-Duke a once-over, while Rick had the gall to just stand there—the picture of innocence. "He looks a little rough, but you'll like him once you get to know him." Rough? Her uncle should've seen Rick with his head shaved. This new soldierlike buzz cut made him look almost decent. But she knew better than to trust appearances. She'd give him one more chance to bow out, and if he was too cocky to take it, he'd be sorry. Uncle Emile paused at the door of his BMW. "It's not as if the two of you will work together that closely. But for today, Duke's your man. He'll answer all your questions." As soon as Uncle Emile drove away, she turned on Rick. "What are you doing here?" His steel-blue eyes searched hers, slowly, thoroughly. "It's good to see you again, Ginny." Her name toppled from his lips with a huskiness that made her skin tingle. Long-buried feelings resurfaced, more fervent than ever. She dug her fingernails into her palms and fought to escape the emotional ambush. "Do you seriously think I'll fall for your smooth talk a second time?" Her mind reeled back to the day they'd met. From the moment she'd seen him across the gym, those magnetic eyes had compelled her to look past the intimidating bald-guy appearance to the man inside. And his patient coaching of the special-needs kids had won her heart. His gaze dropped to the ground. "I never meant to hurt you." Right. Like after dating for two months, his easy camaraderie with the leering gang member who'd spotted them outside a restaurant in Hamilton shouldn't have upset her. She could still remember how the creep's tongue made a slow circuit around his lips and then flicked out of his mouth like the tongue of the snake tattooed on his arm. And Rick's "Hey, bro!" followed by his nervous glance at her. And the near-total transformation from the security guard he'd claimed to be into the gang member he clearly was. Oh yeah, he'd been into security all right—how to bypass it. She hadn't needed to hang around and listen to the rest of Snake Man's loosely veiled robbery scheme to figure that out. Or to figure out that Rick wasn't the God-fearing man he'd let her believe. She'd ended the relationship on the spot. Almost changed her phone number, even contemplated moving, but she hadn't needed to bother. He didn't attempt to defend himself, let alone try to see her again. "How's Lori doing? Still playing basketball?" he asked now, and the warmth in his tone stole Ginny's thunder. He'd always been kind to her mentally challenged sister. Part of her longed to know that Rick again. But she'd never really known him, had she?